This clip shows the character ‘jason’ running away from the murder scene. 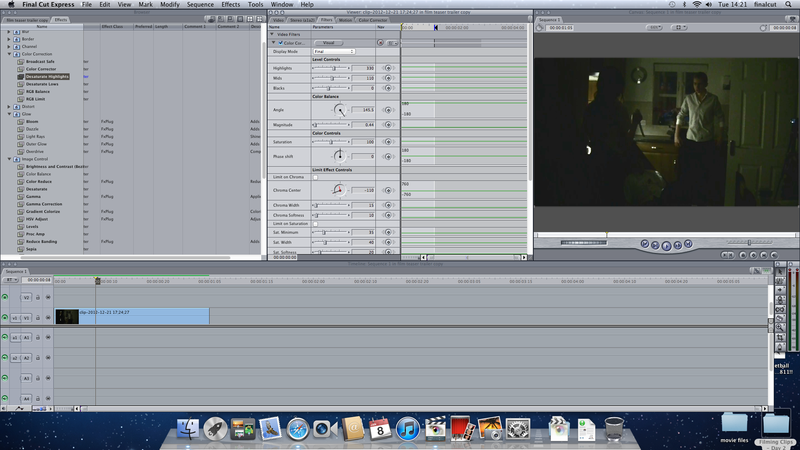 I cut this in two and made the second part of the clip low down to 70% speed instead of 100%. There is a fade to black effect transition after the clip. This makes the scene look enigmatic. The lower speed adds to the atmosphere as it makes the clip flow better and the transition makes a continuous flow to the next scene. I had the job of making a production company logo for the film. I wanted to stick to the colour theme of black red and white as i felt this had a dark noir effect to it. 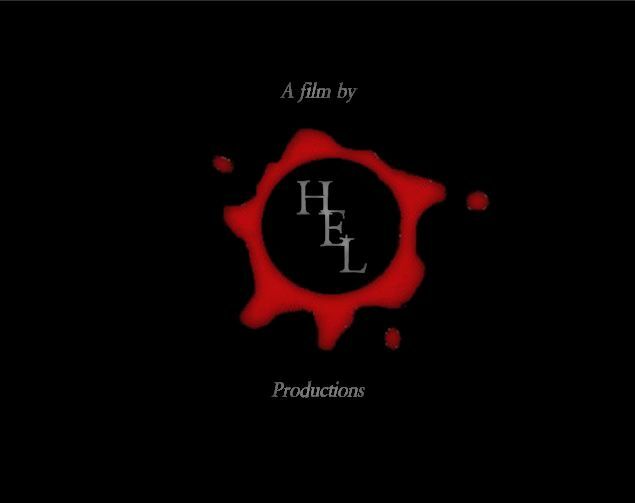 We called it HEL productions and will put this logo into our film. I created the image myself using different softwares.